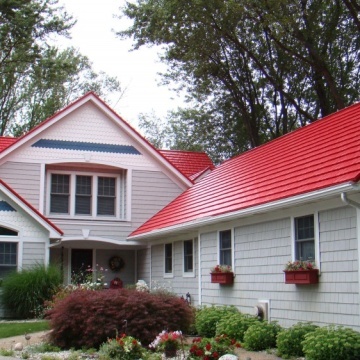 American Metal Roofs (AMR) was founded in 2000 in Flushing, Michigan by Frank Farmer. 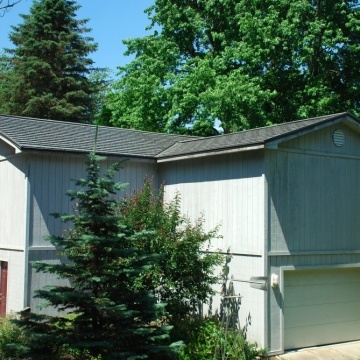 Pioneering the residential metal roofing market, AMR quickly expanded beyond its early locations and is now headquartered in Flint, with a second showroom and warehouse located in Charlotte, Michigan. 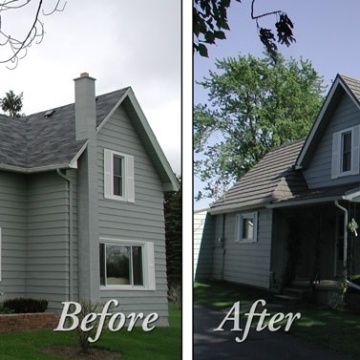 Choosing to focus on metal roofing products from Classic Products of Piqua, Ohio, AMR has helped hundreds of home owners across Michigan transition from temporary asphalt roofing to attractive permanent, energy efficient metal roofing. In addition, AMR has developed a program for churches which offers fundraising and project planning options. 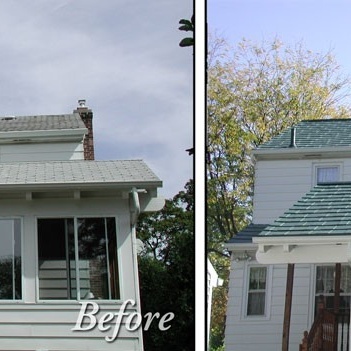 To date, AMR Has installed roofs on over 20 churches in Michigan. The work on the roof was done well. The installers were very easy to deal with and helpful. Cost was high and may deter some of my friends. The price was outrageous, but I am very happy with the quality and looks of it. There is not in not having to worry about it again. AMR stood behind the Warrantee for the roof although it took several years to finally get it right. The roof looks phenomenal! 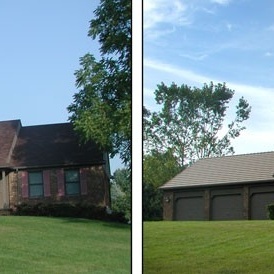 I can't say enough about how much the metal shingles have improved the overall look and curb appeal of my home. The team was very good and leave the job site clean. American Metal Roofs Inc. is a good company. ​I was supposed to get a follow-up map of the room from American Metal Roofs Inc. and never received it. I called about it and no one at the company replied. American Metal Roofs Inc. removed an in-cap on a gutter and I didn't know about it until two months later after the project happened, when I found out part of the gutter is missing. 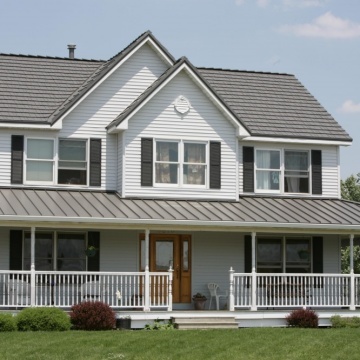 Professional and efficient, I'd recommend AMR to anyone considering a metal roof. Love mine, so glad I went with AMR! I really live the roofing. I have already recommended someone. I have found pieces of metal and screws in my bushes and even in my pool. Every time the wind picks up I find more loose metal on my lawn and in bushes. American Metal Roofs Inc. We are very sorry for any inconvenience caused by this issue. We have left 3 voice messages for the customer and as yet we have gotten no response. We have scheduled a crew member to return to the job site to re-inspect for any debris that our install crew might have missed in the clean-up process. Again our sincerest apologies. Ours sales representative was very informative and thorough. The crew that came to our house, Jay, Been, and Louie, were great! They answered questions and cleaned up after themselves daily. However, the best part was that they would interact with my kids when they asked questions or were outside playing. They were a hard-working, but fun loving crew that made having a construction project happening be a much more enjoyable experience! Everyone I worked with was courteous, professional, and very personable. I've already given out cards. I wish they were not so expensive but I guess that's the way it is. I love the roof! They were very quick and professional. They did it in a week, from me asking them to come out to them finishing. 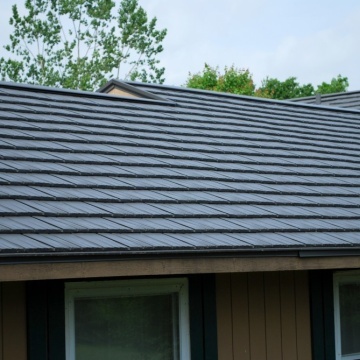 My experience with American Metal Roofs was one of most professional experiences with home improvement contractors I have ever had in my life. 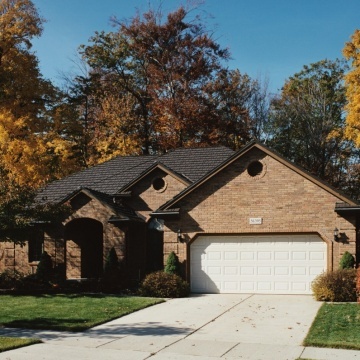 The salesman Phil was clear as to what he recommended for our particular roof and the reasons why. He explained every cost in the proposal, and pointed out areas where we could have save money with a slightly lesser material if we wanted to. 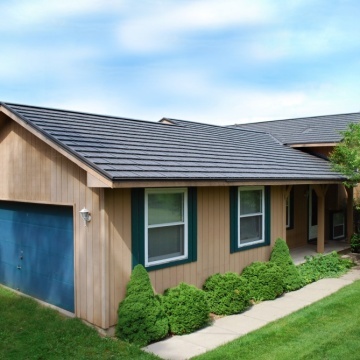 We chose to go with best options because I want this to be the last roof of my life, and the material options via AMR give that best chance out of all the vendors and contractors I researched. Once the work began the crew was more than willing to answer any questions as to what they were doing and how it made a better deal against rain and snow. The foreman Richard was polite, knowledgeable, and communicative thru the whole process, and Leah at the office was always quick to get us answers back when needed. 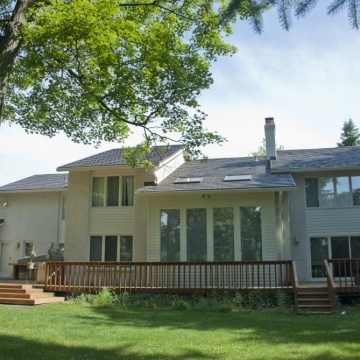 It is expensive, but it is a 50 plus year investment, not a 10 year temp roof just to flip a home. If you are where you plan to be, the investment is worth it. 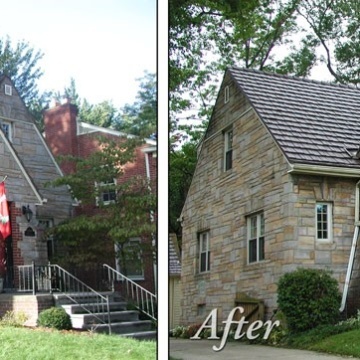 A simpler look could have saved us money, but we really liked the look of the rustic shingle and if we're going to have it for the next 50 years, we might as well like what we are looking at. I was extremely satisfied. It gives me piece of mind to know that I have a quality product installed by quality, well trained, and courteous people!